At 4D Guest Ranch we place a premium on hospitality. We believe that the client is king, and our focus is on making them feel like a part of our family. Our staff is key to this mission, and they are relentless in their desire to provide an optimal experience for our customers. Learn more about them below. Bryan and Karen, owners of 4D Guest Ranch, have been involved with the day to day operations for the past eleven years. They founded the ranch with the breeding operation for white tail deer in 1996. 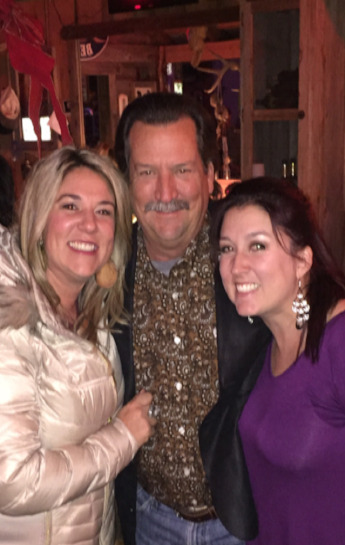 Andrea and Shannon are Bryan and Karen's daughters and are responsible for sales and marketing at 4D Guest Ranch. They also run bookings for the ranch and all social media efforts. Paul can usually be found with a rum and coke in his hand. He runs the day-to-day operations of the ranch, and ensures that the expectations of guests are continuously exceeded. Make sure to ask him about his tie-dyed Wiemer t-shirt.